Indie Füde supports award-winning local makers to promote, sell and deliver their products throughout the world. All the products they sell are made in small batches and lovingly crafted in kitchens and galleys throughout the island. Their team of tasters have munched their way through hundreds of jars, bottles and boxes to bring to the retail market their wide range of food – jams, oils, relishes, dressings, vinegars, spices, condiments, confectionary, beverages, charcuterie, butters…. They love discovering new and delicious things! 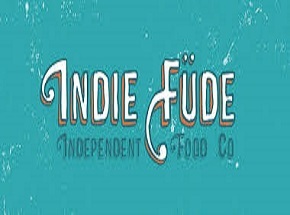 Foodies can shop, gift or subscribe through the Indie Füde website. The goodies arrive individually hand-wrapped in a funky eco-friendly and reusable tote bag directly to the door. A real treat! Founder and Chief Taster, Johnny McDowell, wants to share his love of local Irish food: “There are lots of really exciting products being made locally. As we know the Irish are well travelled and it’s really started coming through in the food here now, every day we are seeing new and exciting flavour and taste combinations coming from our amazingly talented and creative makers. Our name is a hybrid of our two main philosophies – indigenous and independent. We stock more than 600 products from across Ireland. Each one has been chosen because it is from a small batch, artisan producer. We love sourcing and tasting products and hearing the stories behind the ingredients. You can buy online (worldwide delivery) or at our high street shop in Comber, Co. Down. We do gift and subscription services as well as bespoke hampers like this one. We do hope you enjoy. They now also have ‘Demo Kitchen’ by Indie Füde, a mini-cookery school and demo room where local makers can showcase their artisanal goodies and cooking skills to our customers, as well as tourist and corporate groups. An independent online company with the largest range of local handmade food in Ireland.